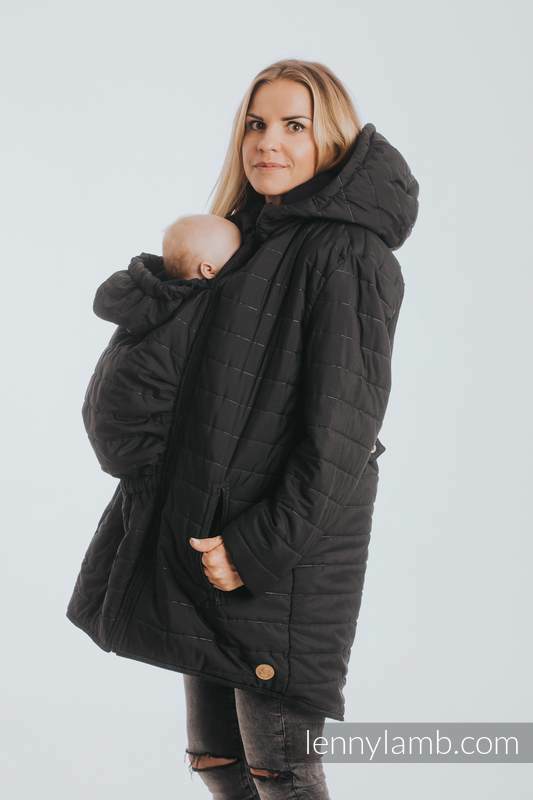 Babywearing coat from LennyLamb is a new, two-sided edition of a Parka Coat. 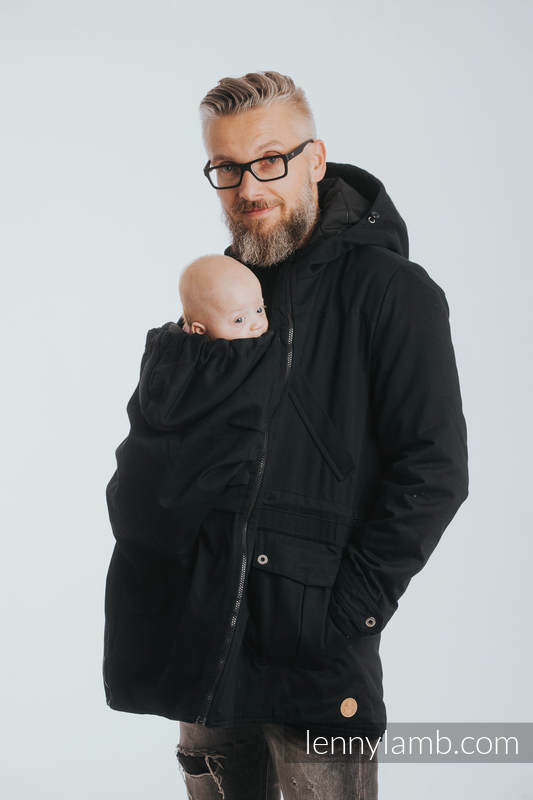 Babywear and don't bother about the weather! 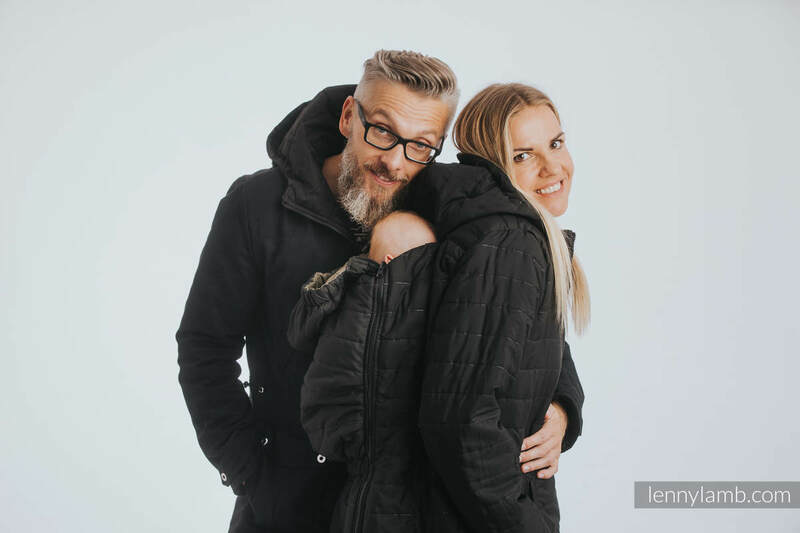 Choose your side and babywear! 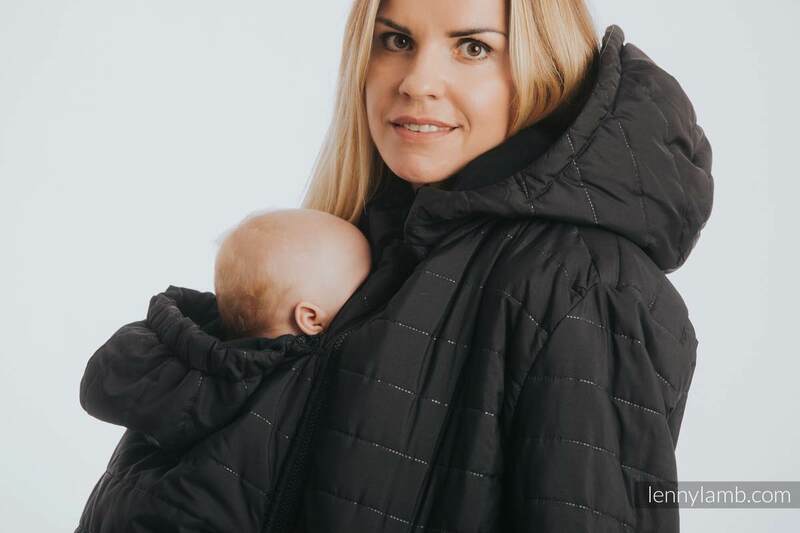 Babywearing Parka Coat was made for parents who want to babywear their children in wraps or carriers, regardless of weather, even in the winter. 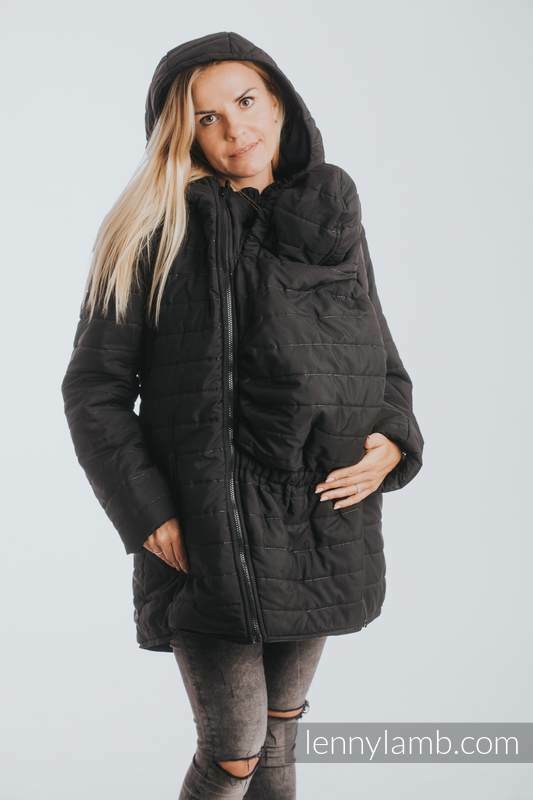 The parka coat is two-sided. One side is hydrophobically impregnated, which reduces the absorption of water. 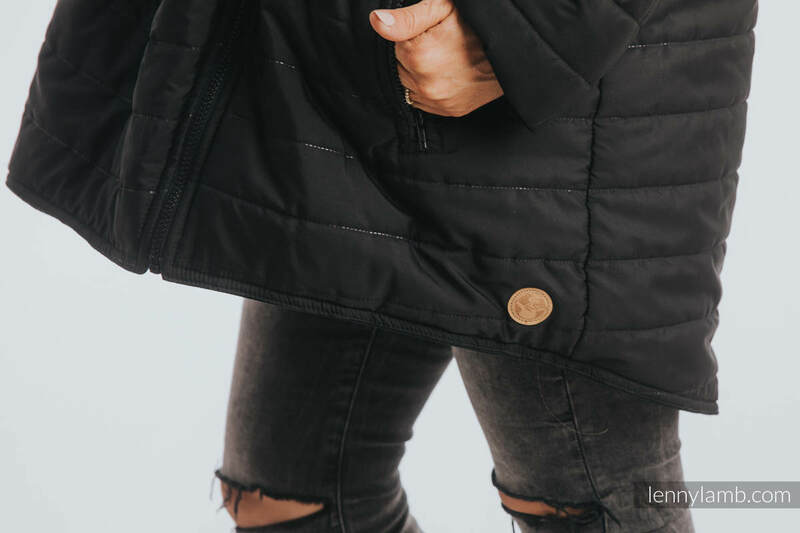 The other provides warmth and also is soft and quilted. 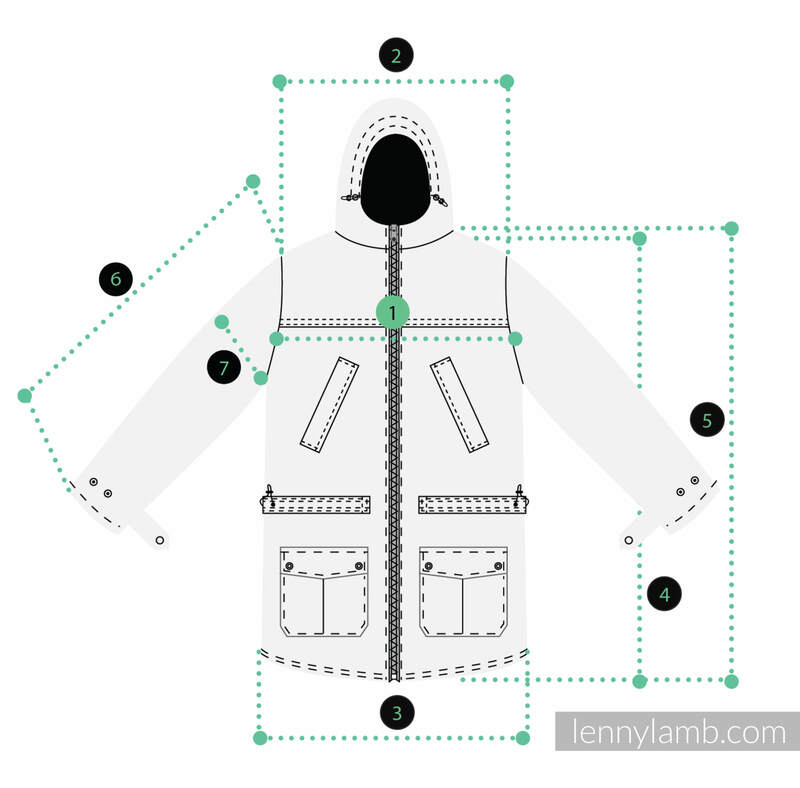 The coat has also two panels in the set, which should be installed between two zippers. 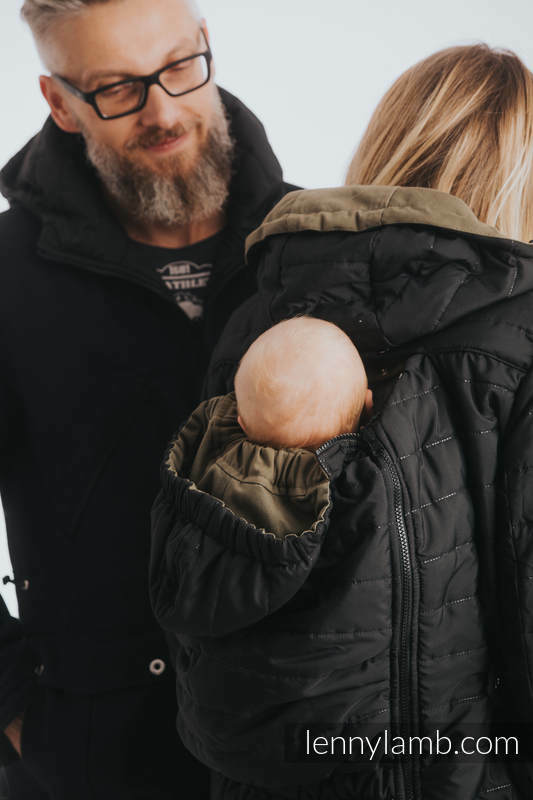 The panels enable wearing a baby in the front and on the back, as well as two babies at the same time. 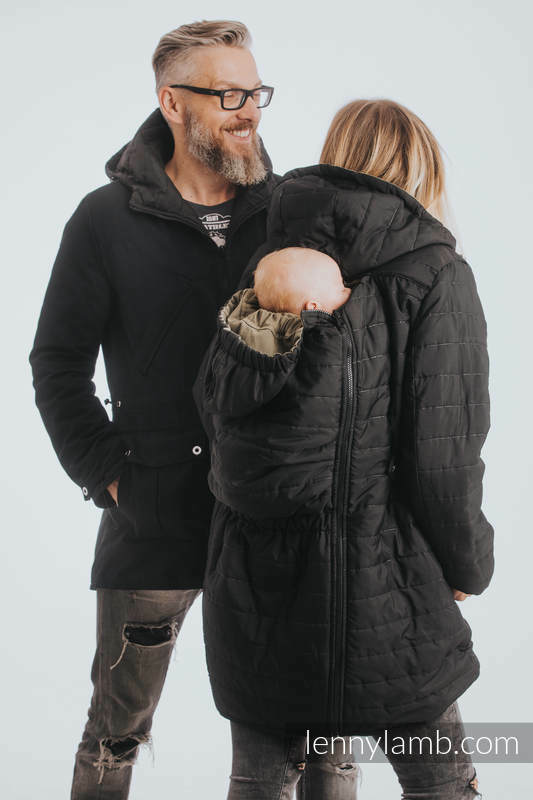 The Parka Coat is unisex - it suits both men and women. 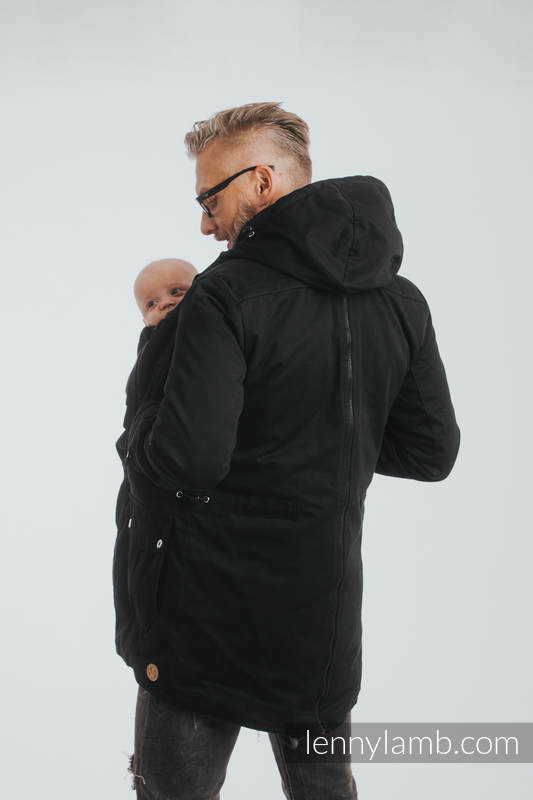 The regulation system makes easier adjusting the coat to the baby as well as emphasizes your body shape. 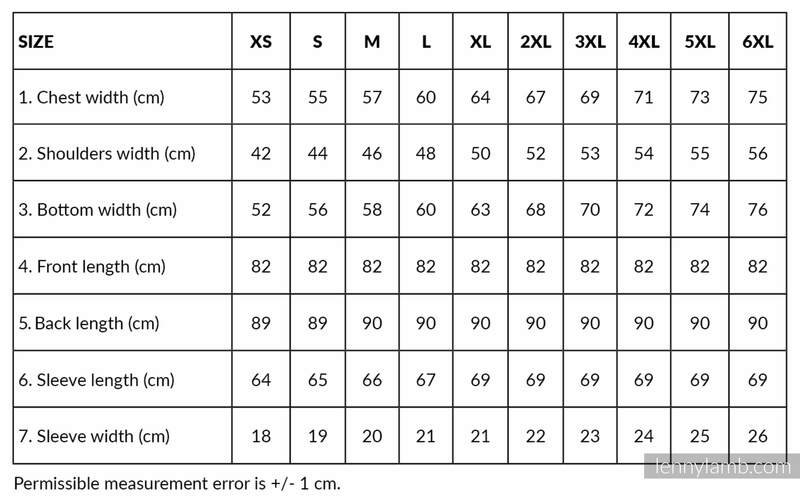 It can be also worn without the panels. 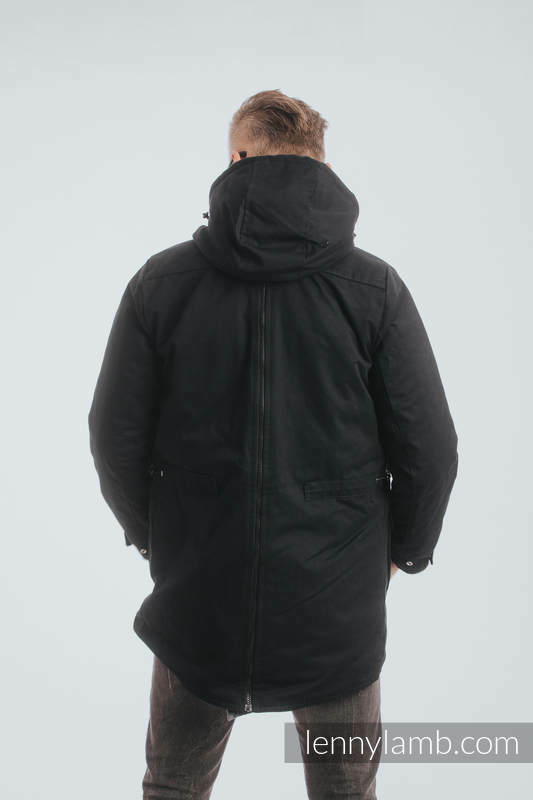 The Parka Coat is available in 4 color versions.